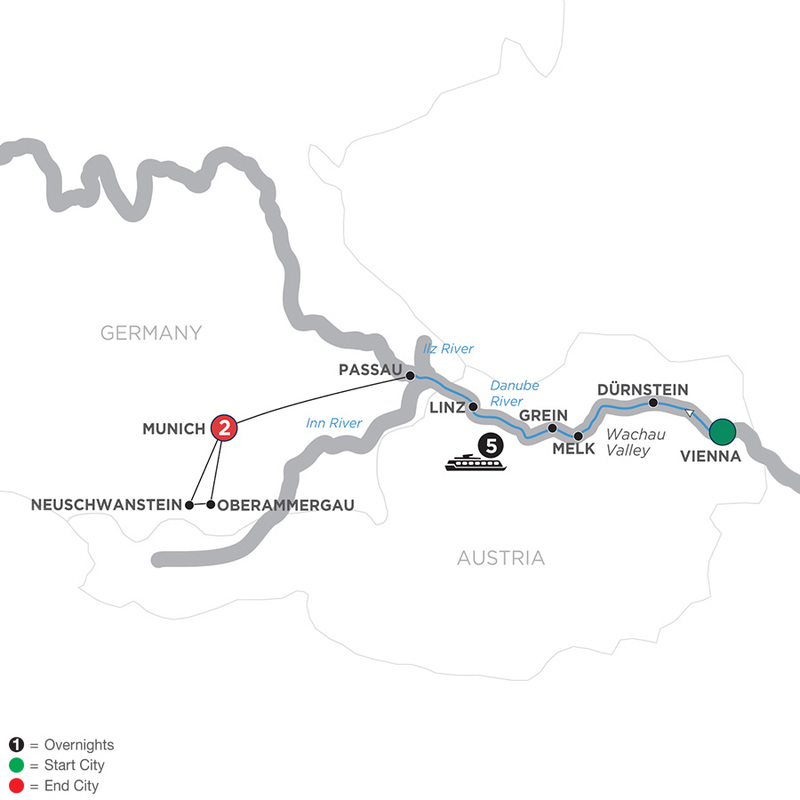 Your European river cruise adventure begins in romantic and exciting Vienna, the capital of Austria, and ends with two nights in Munich, the Bavarian capital known for its centuries-old buildings and Oktoberfest. Known as the "City of Music." Vienna inspired the creative genius of Beethoven, Mozart and Strauss. Join your Local Guide for a tour that takes you to the lavish Hofburg Palace complex, the neo-renaissance Vienna Opera, and much more! In your free time, stroll along the pedestrian Kärntnerstrasse or try a piece of Apfelstrudel in an elegant Viennese café. 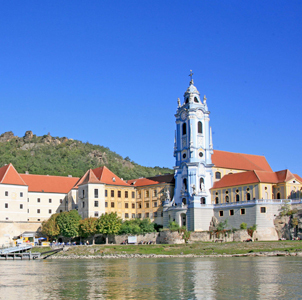 Cruise along the Danube River to Dürnstein, located in the heart of the Wachau Valley, and famous for its baroque Stiftskirche, with its luminous blue façade. In Melk, visit Austria’s majestic Benedictine Abbey, one of Europe’s largest monasteries, and taste some of the region’s renowned wines. In Grein, visit the oldest theater in Austria. For a change of pace, travel by motorcoach to Munich, capital of Bavaria, where a Local Guide shows you the famous attractions. Step into a fairytale on an excursion to one of the most dream-like castles in all of Europe-Neuschwanstein Castle-said to have inspired the tales of Walt Disney. And the magic of the day continues as you travel to Oberammergau, an idyllic village known for its once-a-decade performance of the Passion Play and typical Bavarian houses painted with scenes from fairytales. Find magic, musical history, and beautiful scenery like no other on your European river cruise of a lifetime.